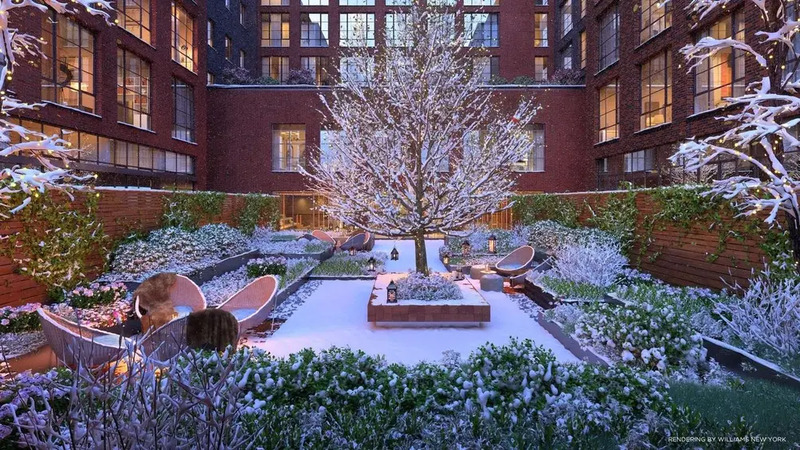 The closings are in for Steiner East Village: a new condominium with glass-enclosed penthouses and amenities that include an indoor pool and private courtyard. 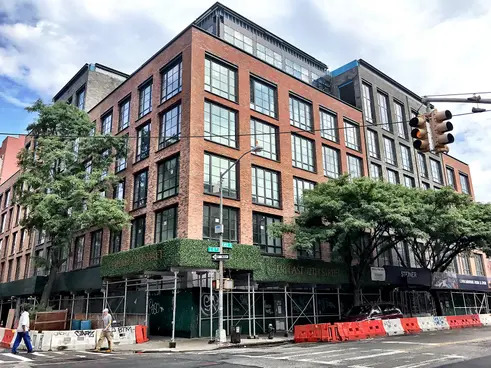 The sales office now reports the 82-unit building is now 75% sold and has already set new records for the neighborhood. Prices for the remaining units start at $1.725 million. 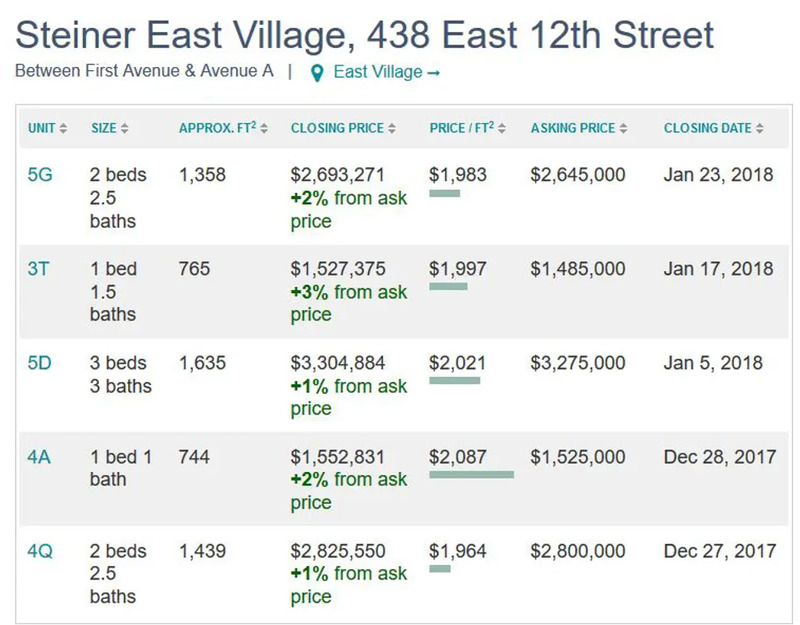 The recorded closings have all come in above asking price. 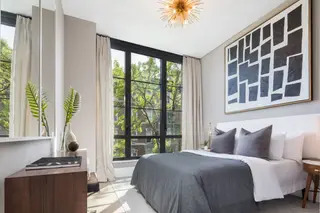 Unit #5G, a 2-bed, 2.5-bath, closed for $2,693,271, 2% above asking price. Unit #3T, a 1-bed, 1-bath, closed for $1,527,375, 3% above asking price. Unit #5D, a 3-bed, 3-bath, closed for $3,304,884, 1% above asking price. 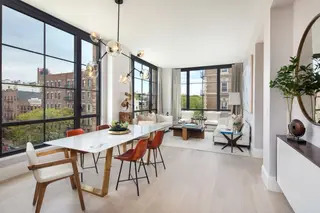 Unit #4A, a 1-bed, 1-bath, closed for $1,552,831, 2% above asking price. Unit #4Q, a 2-bed, 2.5-bath, closed for $2,825,550, 1% above asking price. 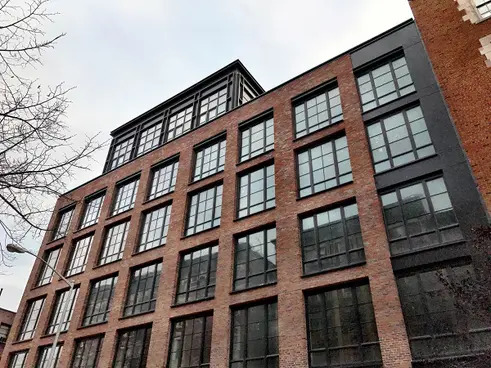 Set squarely in the East Village at 438 East 12th Street, the neighborhood where Pulitzer Prize-winning musical Rent was set in during very different time, Steiner East Village rose on the former site of Parish of Mary Help of Christians, a church dating back to 1905. It was demolished in 2013 to the dismay of neighborhood residents but not forgotten: The new, low-rise structure is respectful of its surroundings, and its Danish brick facade by S9 Architecture pay tribute to the surrounding aesthetic. The 82-unit building is now 75% sold and has already set new records for the neighborhood. All apartments benefit from an abundance of light and air, and the penthouses are wrapped in floor-to-ceiling glass. 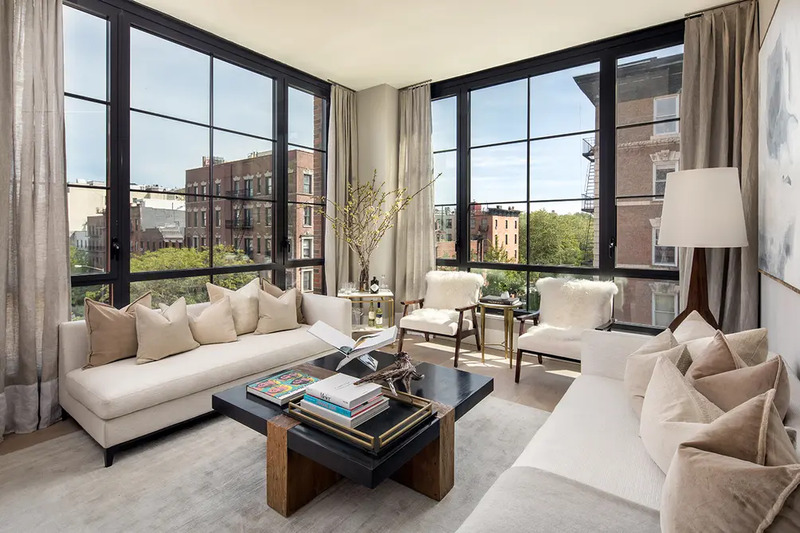 Interiors by Paris Forino feature ceilings over 10 feet high, white oak flooring, and oversized windows with statuary bronze frames. 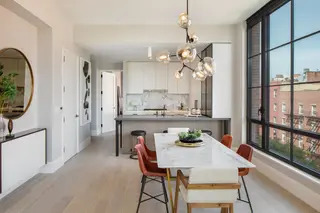 Kitchens are outfitted with custom Italian cabinetry, limestone and Calacatta marble countertops, Sub-Zero and Wolf appliances, and Hansgrohe fixtures. Master baths have soaking tubs, generous storage and sink space, chrome fixtures, and marble finishes. 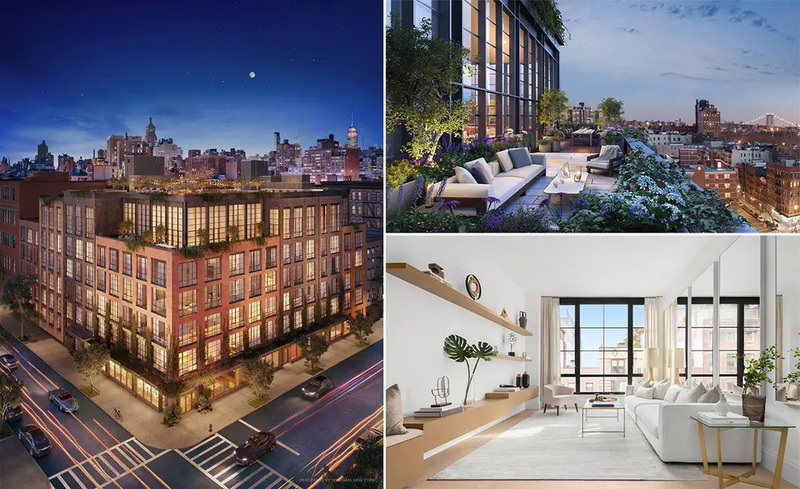 Of the handful of remaining units, a one-bedroom is listed for $1.725 million and two-bedrooms start at $2.195 million. 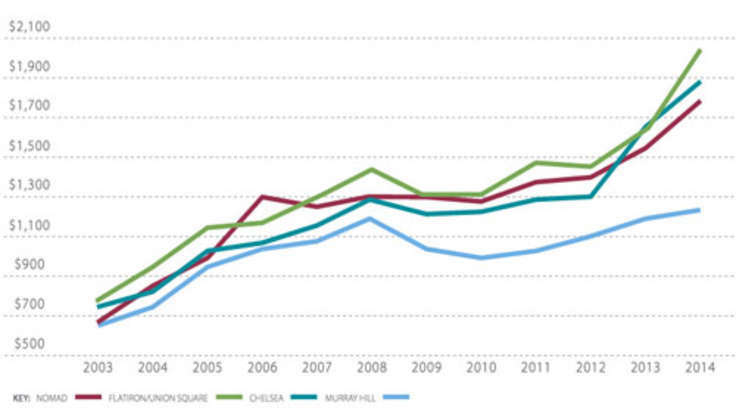 Their average price of $1,903 per square foot puts them above the East Village average of $1,698 per square foot. 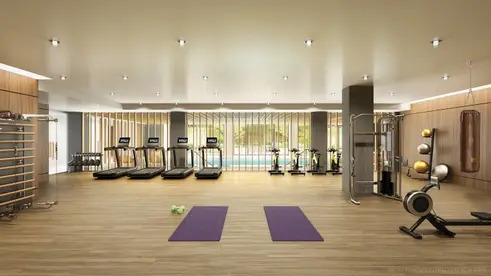 Building amenities include an indoor pool with steam room and sauna, glass-walled fitness center, pet spa, and children’s playroom. A library with a fireplace overlooks the building’s private courtyard designed by Future Green Studio. 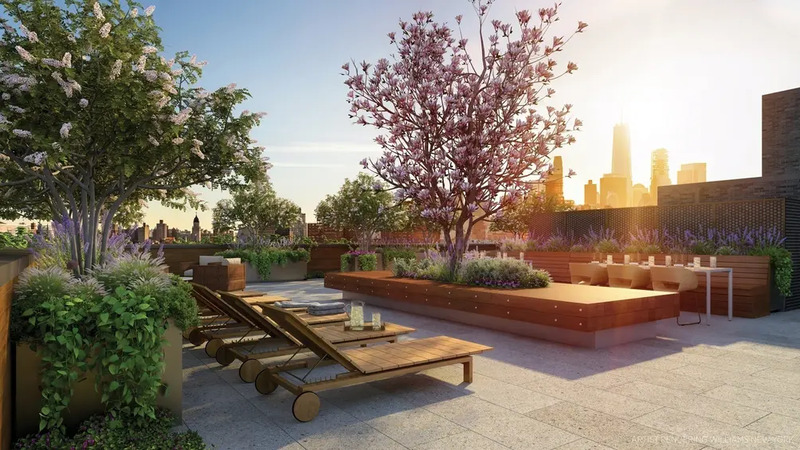 A landscaped roof deck overlooks sweeping skyline views. 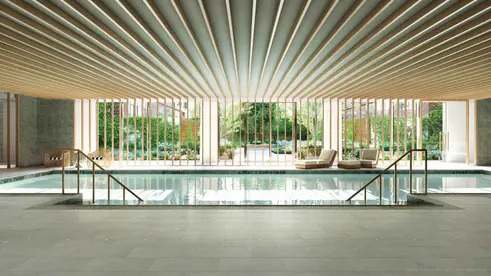 Steiner East Village is surrounded by the restaurants, nightlife, culture, and parks that made the East Village what Steiner NYC chairman Douglas Steiner calls “the real New York…authentic and intriguing and eclectic." It is not clear how long it will be able to stay this way if others seek to emulate his success by building condos where neighborhood institutions once stood.